We may live in the age of privacy nihilism but recognizing one’s reality does not have to mean agreeing to do your own work by its terms. This post is for those publishers, academic and research librarians, and others who conduct research on user behavior in library information systems, who — whether for personal and/or professional ethical reasons or policies — want to do so in ways that prioritize privacy. This paper will most obviously be of interest to librarien researchers who are reflecting on the ethics of the use of user data. But its discussion will be of interest to anyone interested in research ethics in quality assurance and service delivery where user data is collected. The piece’s discussion about the important differences between privacy, confidentiality and anonymity are likely to be helpful to anyone thinking about the ethical design, conduct and the reporting of human research. A bit of my own background is probably useful to contextualize this discussion. My own attention to this topic of privacy and user data came into focus when I led the launch of the Value of Academic Libraries Initiative as President of the Association of College and Research Libraries (ACRL) in 2010-2011. Grounded in The Value of Academic Libraries: A Comprehensive Research Review and Report, my work that year and since then has been heavily focused on advocating for the profession to move to evidence-based claims for library value and for the collection and analysis of individual user data in order to do so. This work has been heavily criticized for its focus on collecting user data and, at times, for facilitating the neoliberal transformation of higher education. Given that, I have also had to confront hard questions about how gathering and analyzing user data aligns with the values of my profession. Specifically, the value of privacy as expressed in the ALA Code of Ethics statement that: “We protect each library user’s right to privacy and confidentiality with respect to information sought or received and resources consulted, borrowed, acquired or transmitted.” These questions have not had easy or straightforward answers, particularly as the value of privacy can be in tension with another principle in the ALA Code of Ethics: “We provide the highest level of service to all library users.” I’m grateful to Andrew Asher who joined me in a series of public presentations exploring these issues (e.g., CNI Fall 2014). The Australian Code is the Australian national reference for research integrity. The document was issued by the National Health and Medical Research Council, Australian Research Council and Universities Australia. The Australian Code discusses eight core principles, 13 institutional responsibilities and 16 research responsibilities. At launch it was complemented by the Guide to Managing and Investigating Potential Breaches of the Code, 2018 (the Investigation Guide). Two more guides are expected by the end of 2018, with the remaining guides expected early 2019. The eight-page 2018 version is a significant change from the 2007 version (which was 39 pages). It represents a movement away from detailed strict standards on research integrity matters to general principles that must inform institutional policies, processes and resources. FOR THE PAST two years, researchers at Northwestern University have been analyzing the habits of tens of thousands of scientists—using Dropbox. Looking at data about academics’ folder-sharing habits, they found the most successful scientists share some collaboration behaviors in common. And on Friday, they published their results in an article for the Harvard Business Review. The study quickly attracted the notice of academics—but not for the reason Dropbox and the researchers had hoped. One sentence in particular caught readers’ attention: “Dropbox gave us access to project-folder-related data, which we aggregated and anonymized, for all the scientists using its platform over the period from May 2015 to May 2017—a group that represented 1,000 universities.” Written by Northwestern University Institute on Complex Systems professors Adam Pah and Brian Uzzi and Dropbox Manager of Enterprise Insights Rebecca Hinds, that wording suggested Dropbox had handed over personally identifiable information on hundreds of thousands of customers. American Indians, Alaska Native, and other Indigenous people throughout the world have undergone and continue to experience research abuses. Qualitative data such as intellectual property, Indigenous knowledge, interviews, cultural expressions including songs, oral histories/stories, ceremonies, dances, and other texts, images, and recordings are at risk of exploitation, appropriation, theft, and misrepresentation and threaten the cultural sovereignty of American Indians, Alaska Native, and other Indigenous people. 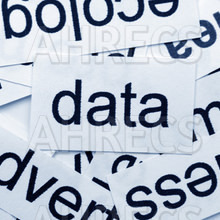 These issues are potentially magnified with the increasing use of big data. Partly as a result of past and current research abuse, the Indigenous data sovereignty, the control, ownership, and governance of research and data, is growing. In this article, I discuss American Indian political sovereignty, cultural sovereignty, and Indigenous data sovereignty, with an emphasis on qualitative data sovereignty. In addition, I explore whether Arizona’s public universities—Northern Arizona University, Arizona State University, and University of Arizona—policies and guidelines support Indigenous data sovereignty and the extent to which they align with the Arizona Board of Regent’s tribal consultation policy that governs relations between the three Arizona universities and Arizona American Indian nations. Overall expectations, requirements, and processes do not go far enough in supporting Indigenous data sovereignty. Although each university has specific research policies that follow the Arizona Board of Regent’s tribal consultation policy, the university guidelines differ in scope in term of supporting Indigenous data sovereignty. In addition, none of the policies address qualitative data sharing, including those in big data sets. Based on the findings I make several recommendations for researchers, including supporting the Indigenous sovereignty movement and to reconsider big data use and past positions about qualitative data ownership and sharing with regard to American Indians, Alaska Native, and other Indigenous people. Marley, T. L. “Indigenous Data Sovereignty: University Institutional Review Board Policies and Guidelines and Research with American Indian and Alaska Native Communities.” American Behavioral Scientist 0(0): 0002764218799130.